The video is especially funny, because you can't help but laugh at people who are killing themselves laughing too. That, coupled with some of the most current household names from a range of ages, and you've got a great piece of content. It's on brand in terms of matching the Christmas ad, so it's instantly recognisable without being too 'Sainsbury's heavy'. What is interesting though, is that the video links to the product on the Sainsbury's website, which I found surprising. I can't recall a time that a supermarket has pushed a specific product so hard - regardless of the video being all about said product. When I saw the video I thought it might be about empowering people with mental health to 'speak out' this Christmas, and use comedy as a way of getting to its audience - but I clearly went too deep! I'd be really interested to see a case study from the brand after the Christmas period to see what impact this content has on sales of Speak Out, as well as engagement with the brand. In the meantime, I'm off to dust off my set of the game and start practicing for, ooh, about 5.32pm on 25th December. 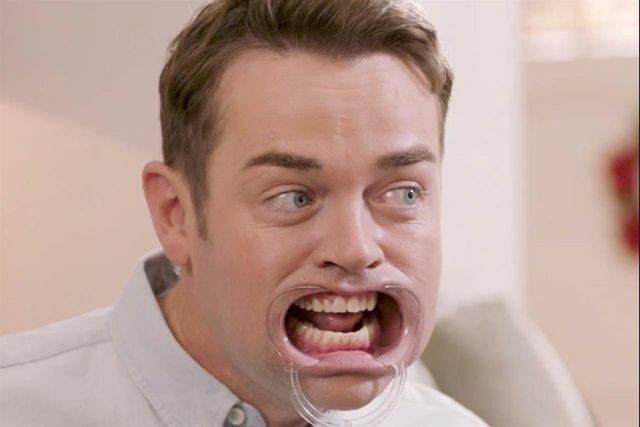 Sainsbury's is launching a social video campaign in which pairs of celebs attempt to pronounce lines from "Every bit of Christmas", the song in its festive TV ad, using mouthpiece game "Speak Out".